It is our pleasure to send you the April Edition of ISP Brief, the monthly newsletter of the CSIS International Security Program. ISP Brief features articles and commentary written by our scholars, their analysis as published in various media sources (including video and audio highlights), and links to recent events. We hope the newsletter provides you, our readers, a snapshot of the excellent work underway in ISP, and the engaging thoughts of our experts. As always, your feedback is welcome. READ "It's time for action on Syria's chemical weapons, not pointing fingers" by Rebecca Hersman, Foreign Policy. 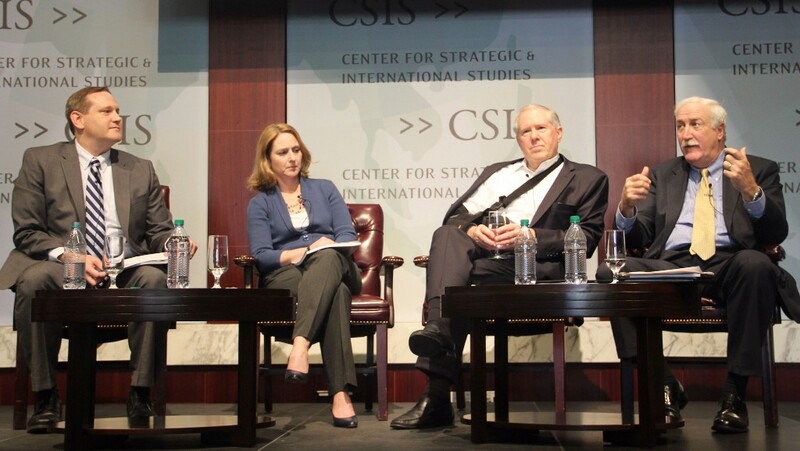 READ "There Is No Alternative to Sovereign Choice" by Kathleen Hicks and Heather Conley, CSIS. READ "Can Trump’s Defense Department Get More For Less?" by John Conger, Defense One. READ "Deterring Iran: A US strategic path forward" by Melissa Dalton, Hijab Shah, and Joe Federici, The Hill. READ "North Korea’s New Missiles on Parade" by Tom Karako and Ian Williams, CSIS. READ "A New Time for Choosing: Reagan's Lessons to Trump on Russia" by Lisa Sawyer Samp, The Hill. READ "Trump can make government more efficient, but probably not smaller" by Alex Gallo, The Hill. READ "Slaughter at Chemin Des Dames: Adaptation and Its Limits in 1917" by Mark Cancian, War on the Rocks. READ "Continuing Resolution Fears? OCO's Ugly But It Might Work" by Mark Cancian, Breaking Defense. READ "What You Should Know About North Korea and Their Nuclear Weapons Threats" by Sharon Squassoni, Teen Vogue. READ "Stopping chemical attack in future requires robust leadership" by Rebecca Hersman, Gulf News. READ "Trump's Missile Strikes Show He Needs a Broader Strategy in Syria" by Melissa Dalton, Fortune. READ "US Missile Defenses Need Better Sensors, and Soon" by Tom Karako and Ian Williams, Defense One. READ "Opinion: Banning the bomb while North Korea builds them?" by Sharon Squassoni, Kyodo News. READ "Why it's time for the next steps in missile defense evolution" by Tom Karako and Ian Williams, Defense News. READ "A Guide to Putting Iran on Notice" by Melissa Dalton, Joe Federici, and Hijab Shah, War on the Rocks . READ "Do we have the tools we need to combat ISIS?" by Alex Gallo, The Hill. READ "Self-Help for the Grieving Foreign Policy Practitioner" by Kathleen Hicks, War on the Rocks. 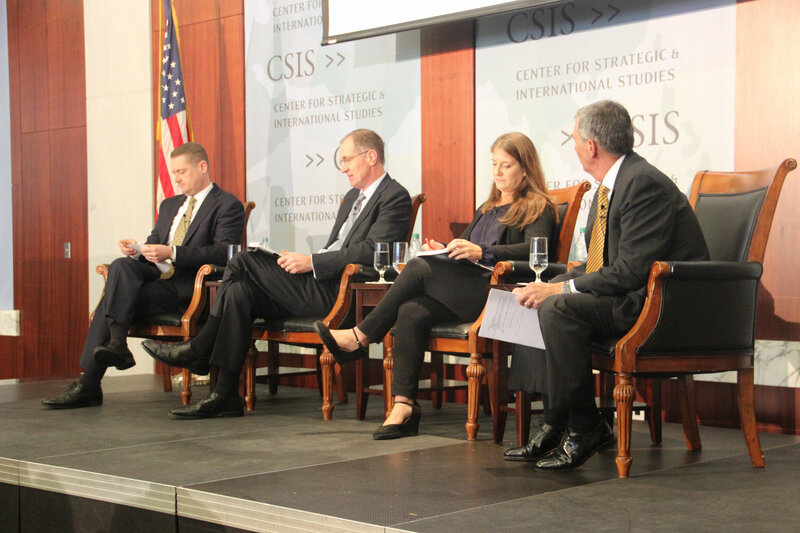 READ "The Legality of Striking Syria" by Colin McElhinny, CSIS Critical Questions. READ "More than just fixing the rules: regulating for innovation" by Kaitlyn Johnson, Space News. 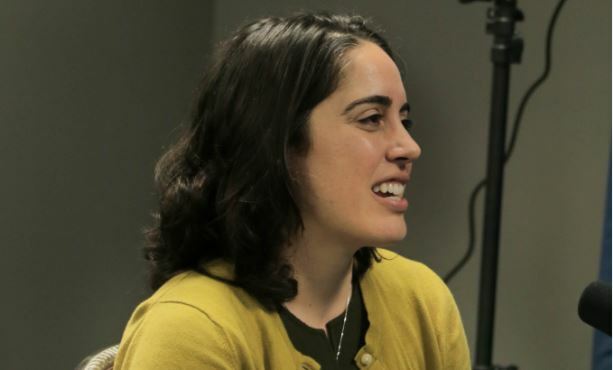 LISTEN to Melissa Dalton on the Smart Women, Smart Power podcast as she explores Iran’s strategy, motivations, military, and paramilitary capabilities and how the U.S. and its allies can enhance security. HEAR Todd Harrison talk about the probability of a government shutdown, the North Korean missile threat, and the implications of Trump's "Buy American" executive order. LISTEN to Andrew Hunter talk on Federal News Radio about increases in defense spending. 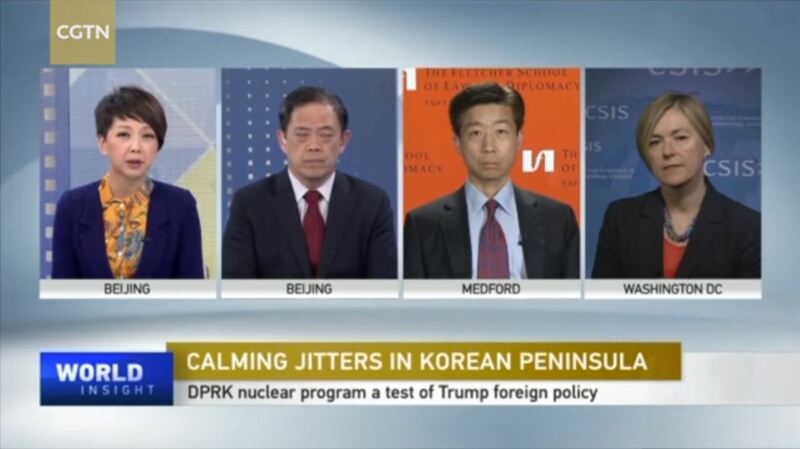 WATCH Sharon Squassoni talk with others on CGTN about collaborative measures the DPRK, the U.S. and other interested parties can take to defuse tensions on the Korean Peninsula. WATCH Tom Karako discuss North Korea’s ballistic missile capabilities on Defense & Aerospace Report . LOOK at Tom Karako's infographic displaying North Korean launches by their estimated range capability on Las Vegas Review Journal. 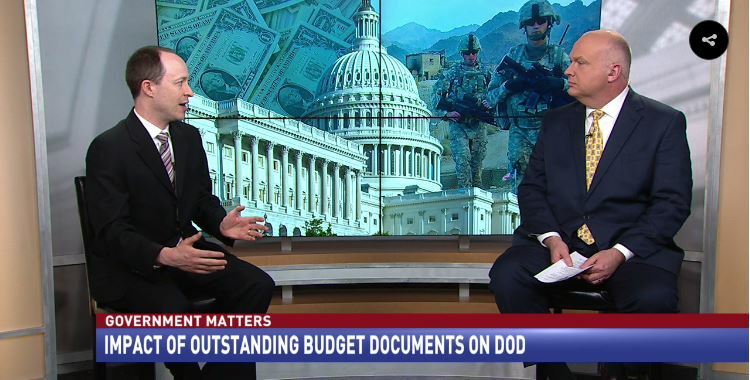 WATCH Todd Harrison discuss the impact of outstanding budget documents on Defense Department spending on Government Matters. HEAR Melissa Dalton's interview on War on the Rocks' Bombshell series as she discusses what happened in Syria and where to go from here. 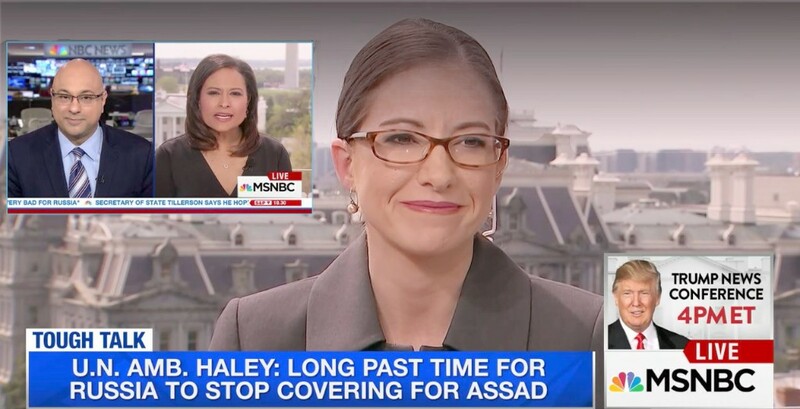 WATCH Lisa Sawyer Samp on MSNBC discuss Russsia's relations with the Assad regime. LISTEN to CSIS Proliferation Prevention Program's new podcasts as they talk to experts about transparency and nuclear weapons. WATCH Christine Wormuth talk about Trump's evolving foreign policy stance on Russia and NATO on CNBC. 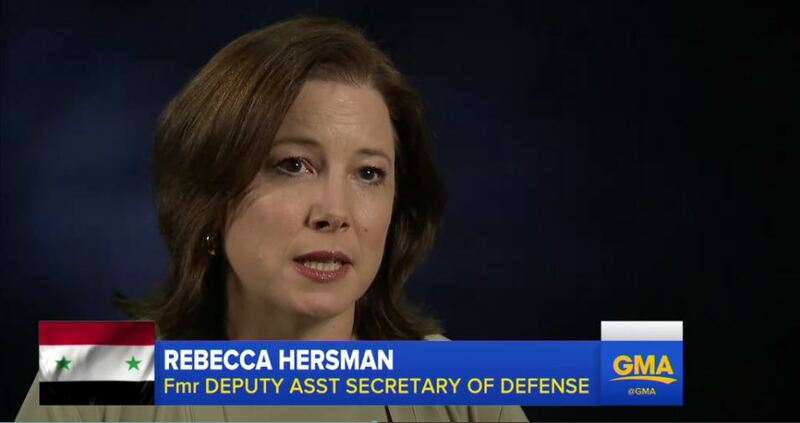 WATCH Rebecca Hersman on ABC News as she discusses the United Nations emergency meeting held after the chemical attack in Syria. LISTEN to Lisa Sawyer Samp talk on the Smart Women, Smart Power podcast about the Kremlin’s belligerent security posture and recommendations from her new report "Recalibrating U.S. Strategy Toward Russia." 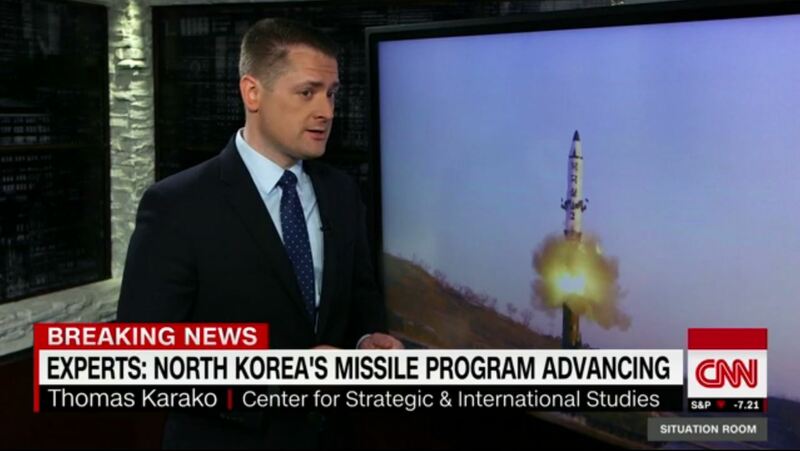 WATCH Tom Karako talk about North Korea's advancing missile program on CNN. HEAR Rebecca Hersman talk on The World Today about the chemical attack in Syria. North Korea Missile Launches 1984-Present provides a chronology of North Korea missile launches and nuclear detonations. Missile Maps and Infographics display the missile activity and capabilities of countries around the globe. 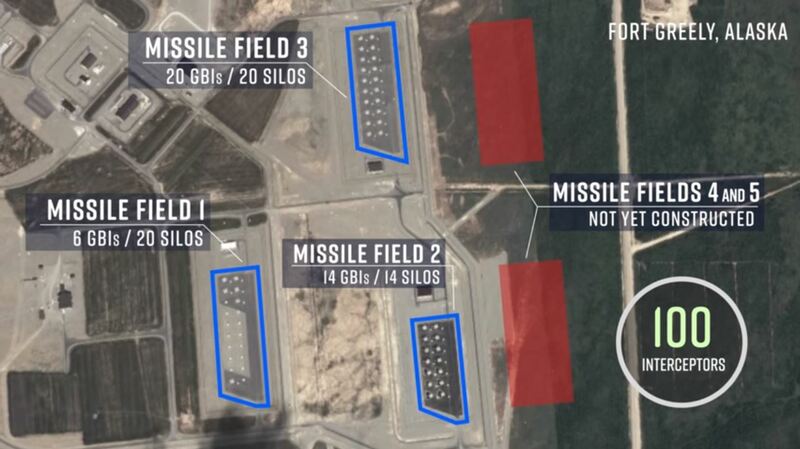 Video: Next Steps for Defending the Homeland shows steps necessary to improve reliability and capacity of missile defense efforts. Homeland Missile Defense: Illustrations provides downloadable versions of all illustrations found in Missile Defense 2020: Next Steps for Defending the Homeland. 8:15 a.m. - 7:00 p.m.
"There has been an inclination of this administration to rely on the military as the tool of choice, and while these military tools are incredibly powerful, if misused there is a real risk in terms of loss of life and resources." 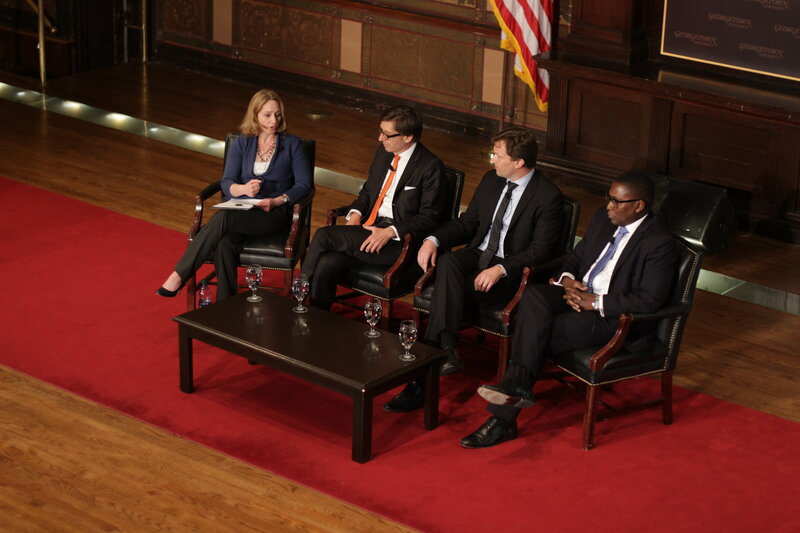 - Melissa Dalton quoted in McClatchy article "Are Americans safer than they were 100 days ago?" on April 28, 2017. "Just spending more on the military and making the military larger does not make us safer. What matters most is how you spend it, and not how much you spend. (Trump) seems to want to manage by the numbers and make the Army larger, and more ships for the Navy and more fighter jets – but for what?" - Todd Harrison quoted in McClatchy article "Are Americans safer than they were 100 days ago?" on April 28, 2017.
" Something has to be done. That’s why the Missile Defense Agency is already planning on a path forward. [Ideally space-based missile detection is] where we need to go. [But there are two principal options for ground-based protection in Hawaii. One is to build a single-faced, Medium Range Discrimination Radar...[The other is to equip the existing Aegis Ashore test range in Hawaii with alternate high-frequency radars and interceptors of its own." - Tom Karako quoted in Defense One article "Hawaii Needs Better Missile Defense Radars, Pacific Commander Says" on April 26, 2017. "I have a sense of what America First means to him in terms of trade, but trade is only one dimension of our foreign policy. It's one thing to say he wants better deals with this country or that country. What about problems outside the trade sphere?" - Christine Wormuth cited in CNN Politics article "Trump's first 100 days on the global stage" on April 26, 2017. “[North Korea has] expressed the intent to [miniaturize a nuclear weapon]. It raises the stakes and increases the risk of missile threats to the region and the U.S. homeland." - Tom Karako quoted in Fox News article "North Korea's weapons progress a top concern as US senators have rare briefing" on April 26, 2017. 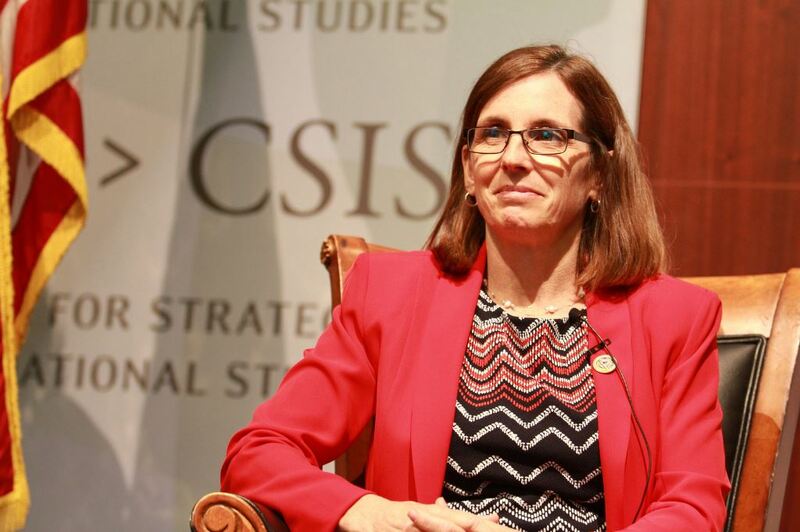 "My sense is it would be helpful if there was a new [authorization measure] for the Middle East as it exists today, and for the fight against ISIS and similar groups. And it would put the country on a firmer footing legally, while preserving the balance of power between the branches of government." - Christine Wormuth quoted in Personal Liberty article "Syria, Trump and Congress’ ever-eroding war powers" on April 24, 2017. "China cares deeply about [THAAD] primarily I think for political reasons. The Korean peninsula is very close to them and I think it offends their sensibilities to have another symbol of American presence there. And also in a more tactical sense this is something that will drive the United States and South Korea closer together and China ultimately doesn’t really want that." - Tom Karako quoted in Wired article "All About the US Missile Defense That'll Protect South Korea - And Tick Off China" on April 23, 2017. "The only way to resolve the stand-off peacefully, Karako said, is to convince Beijing to tighten the screw on sanctions against its isolated neighbor. North Korea relies almost entirely on trade with China to prop up its impoverished economy. 'Talk alone isn't going to cut it,' he said." - Tom Karako referenced in NBC News article "North Korea: Experts Warn Only Way Forward May Be Diplomacy" on April 22, 2017. "There just isn’t enough money to maintain the military we want, no matter how you slice it. It’s the money, not the mechanism. They can avoid the kind of disasters people have talked about – for example, the troops not getting paid. But the overall (defense) funding disaster is true.” - Mark Cancian cited in Stars and Stripes article "Time is running out for Congress to settle on budget" on April 21, 2017. "Fencing off funds is 'always used as a tool either to get information from the department or you are trying to get their attention that you have concerns that you think [DoD is] not fully satisfying and it’s a way to highlight it to senior leaders’ attention because presumably if there is a fence on money, the leadership of the department becomes aware of that … in the case of DIUx, it’s going to go to the [defense] secretary.'" - Andrew Hunter quoted in Federal News Radio article "DIUx still chugging along in the Trump administration" on April 21, 2017. “Those who want to make nuclear forces seems less expensive will cite a 10-year cost estimate that only includes modernization. Those that want costs to seem high will cite a 30-year cost estimate that includes modernization, operation, and sustainment costs.” - Todd Harrison cited in Bloomberg article "Trillion-Dollar Tab to Renew U.S. Nuclear Triad to Be Reviewed" on April 19, 2017. "This is another instance of the Chinese not being as helpful as we might hope in terms of pressuring the North, I think our friends, the Chinese, have a long way to go. They claim to want to contain and curtail the North Korean programs but I think the actions would be nice as well as the words." - Tom Karako quoted in CNBC article "Why North Korea's missile debris isn't just junk to the West" on April 18, 2017. "This is basically a brutal dictator who doesn't really put a lot of stock in the safety, health, education of his people. It wouldn't surprise me at all he would pour resources into nuclear weapons that I hope will never be used." - Sharon Squassoni quoted in CNBC article "Five ways North Korea gets money to build nuclear weapons" on April 18, 2017. "There is very substantial compliance with the act, and less than 7 percent of all purchases are associated with coming from a foreign entity, and a significantly smaller share are actual waivers to Buy America Act requirements. Waivers are pretty rare.” - Andrew Hunter cited in Defense News article "Trump 'Buy America' order could drive costs in defense supply chain" on April 18, 2017. "Particularly with the Saudis and the Israelis, part of the discussion will be clarifying for them what our strategy is towards Syria in light of the strike." - Christine Wormuth quoted in Reuters UK article "U.S. Defence Secretary Mattis to talk Islamic State, Syria in Middle East" on April 17, 2017. "The timing of the strike suggests that U.S. forces may have only recently discovered the tunnel, Cancian said, possibly thanks to eyes on the ground. But the strike would have nevertheless sent a message to Islamic State militants that 'there’s no safe place, no matter how deep of a tunnel you dig.'" - Mark Cancian referenced in Huffington Post article "U.S. Drops ‘Mother Of All Bombs’ On ISIS Target In Afghanistan" on April 14, 2017. "I do think the Trump administration is using the Syrian missile strikes and dropping the MOAB to send a message to North Korea...But I think the administration was aiming for the psychological impact. There’s risk to that kind of pressure, though, because the more insecure the North Koreans feel about a preemptive strike that destroys their missile, nuclear or command-and-control capabilities, the more likely they might be to launch a preemptive strike of their own." - Ian Williams quoted in Yahoo! News article "Trump and North Korea: Climbing the escalation ladder" on April 14, 2017. "Everybody is guessing a lot...And because they don't have the specifics of what the president intends, they have to experiment and experiments can go wrong. It is in the president's interest to be much more specific than he's been. The American people have a right to know, but also it is helpful for a president to have the American people behind him. [But that won't happen unless the people] understand what his objectives are and how he intends to meet them and support that vision." - Alice Hunt Friend quoted in National Journal article "Missing: A Trump Foreign Policy Address" on April 13, 2017. "Christine Wormuth...said Trump had a 'steep learning curve' on foreign policy when he came into office but that it was beginning to even out. 'He’s starting to have a more nuanced and deeper understanding of a lot of issues.'" 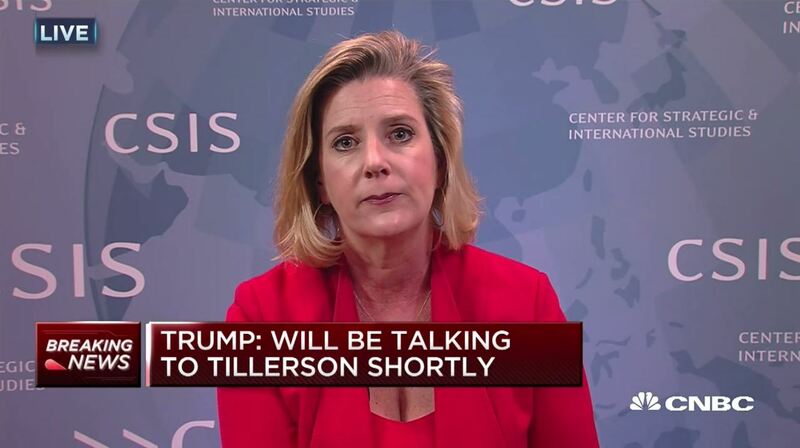 - Christine Wormuth referenced in Reuters article "In abrupt shift, Trump warms to China and NATO, sours on Russia" on April 13, 2017. "Because you have a lot of military minds thinking of this in a military context, you are going to get answers to things that are really, really finely tuned to the military considerations but not the diplomatic considerations or even the domestic political considerations. That is something the president should be very concerned about. Civilians are supposed to give them the political context of what they are doing and why they are doing it." - Alice Hunt Friend quoted in Politico article "Worries deepen about Trump's military tilt" on April 13, 2017. "This is an old missile, in one sense. But in another sense, it’s being continually modernized. It’s frequently the thing for which we reach first in these kinds of engagements." - Tom Karako cited in Task & Purpose article "The Navy May Give Up On The Tomahawk Missile, But Not Just Yet" on April 11, 2017. "There is no emerging doctrine for Trump foreign policy in a classical sense. There are, however, clear emerging characteristics consistent with the attributes of the man himself: unpredictable, instinctual and undisciplined." - Kathleen Hicks quoted in Vanity Fair article "Not Even Trump's Communications Team Knows What His Foreign Policy Is" on April 10, 2017. "The development of new weapon systems has been decreasing over time, and there's no recovery yet in sight. And that will be a real issue for the new administration coming in." - Andrew Hunter cited in National Defense Magazine article "As Funding Deadline Looms, Budget Is on Everyone’s Mind" on April 10, 2017.
" It’s a very, very difficult and thorny problem. My advice would be to think very hard about the second, third and fourth steps, not just the immediate steps...And I think a lot of the things that made this conflict so difficult during the Obama administration are still true today in the Trump administration." - Christine Wormuth referenced in The San Diego Union Tribune article "Why didn't Trump drop bombs or wage even bigger attack on Syria?" on April 9, 2017. "The NSC is not really where political advisers should be...Moving [Bannon] off the council, I think, is very appropriate... [The changes could] normalize the role of the NSC and have it be the primary venue where decisions take place and recommendations to the president are formulated.” - Christine Wormuth cited in The Hill article "McMaster shows clout in Trump's first crisis" on April 8, 2017. "Harrison said [current inventory] totals about 4,000 now, an arsenal that Navy officials expect to last for another 11 years. But he notes that in the event of another major conflict, that likely won't be enough for mission demands." - Todd Harrison referenced in Military Times article "What is a Tomahawk missile?" on April 7, 2017. "The Syrians can argue that they felt they were given a green light, with the U.S. sending very inconsistent messages." - Kathleen Hicks quoted in The New York Times article "After Chemical Attack, Asking if U.S. Remarks Emboldened Assad" on April 7, 2017. "This is an old missile, in one sense. But in another sense, it’s being continually modernized. It’s frequently the thing for which we reach first in these kinds of engagements." - Tom Karako quoted in Yahoo! Finance article "The Tomahawk missiles that struck Syria are actually old technology" on April 7, 2017. "Much more of the heavy lifting is about the diplomatic piece than the military piece...All the factors that were in place during the Obama administration that made finding a solution to this terrible conflict so difficult remain in place today." - Christine Wormuth quoted in The Huffington Post article "Now Donald Trump Must Fight The War He Isn’t Ready For" on April 7, 2017. "These spaces are ungoverned...So what we risk when we look at these conflict-torn regions is that people will try to make a living any way they can, and they may not have any scruples about what they're smuggling across these borders." - Sharon Squassoni quoted in Time article "Inside the Uranium Underworld: Dark Secrets, Dirty Bombs" on April 6, 2017. "I think all of the deaths in Syria are incredibly tragic...The loss of life is almost beyond imagination. But when we see the loss of life tied to the complete failure of an international regime and the unwillingness of the international community to step up and document these cases and discern a path to accountability and make the security council work the way it's supposed to make the OPCW Executive Secretary work the way it's supposed to, then we should be even more disappointed." - Rebecca Hersman interviewed for ABC News article "United Nations to hold emergency meeting after suspected chemical attack in Syria" on April 5, 2017. "McMaster is trying to put them under his control and either removing or downgrading people who had independent linkages to the White House so that advice will flow through him, which is normal." - Mark Cancian quoted in The Gazette article "Stephen Bannon removed from National Security Council" on April 5, 2017. “Trump and a number of Republicans have engaged in a lot of optimistic talk about ‘repealing sequester’ and moving beyond the BCA, but I don’t see any realistic path to accomplish that goal.” - Todd Harrison quoted in Yahoo! News article "Remember the sequester? Trump’s defense buildup runs up against budget politics" on April 3, 2017. “Even with Secretary Wilson in place, however, there could be some delay involved in briefing her up on the issues in play in these decisions, and how they fit into the big picture for the Air Force,” he said. “The continuing uncertainty over the budget trajectory also complicates these decisions.” - Andrew Hunter quoted in Defense News article "Slow appointment of officials could affect T-X, GBSD, Lockheed official warns" on April 3, 2017. “The defense increase can’t happen if the Trump administration isn’t willing to compromise on some of the other budget issues.” - Todd Harrison quoted in Los Angeles Times article "Boeing hopes its Super Hornet fighter can emerge triumphant from Pentagon budget battle" on April 3, 2017. "You're not going to see a slew of new ships in '18. Maybe you'll see one new ship...I think there'll be a lot of pressure to add a ship, but they don't have a whole lot of money to do that." - Mark Cancian quoted in Washington Examiner article "Trump's Navy buildup" on April 3, 2017. "Alice Hunt Friend...cited yet another concern: Military operations becoming 'divorced from overall foreign policy' could make both civilian leaders and the military vulnerable to runaway events. 'Political leaders can lose control of military campaigns,' she warned." - Alice Hunt Friend referenced in Associated Press article "With Trump approval, Pentagon expands warfighting authority" on April 1, 2017.